Neal's Blog: Malham - invasion of the 'Peakies'! Malham - invasion of the 'Peakies'! 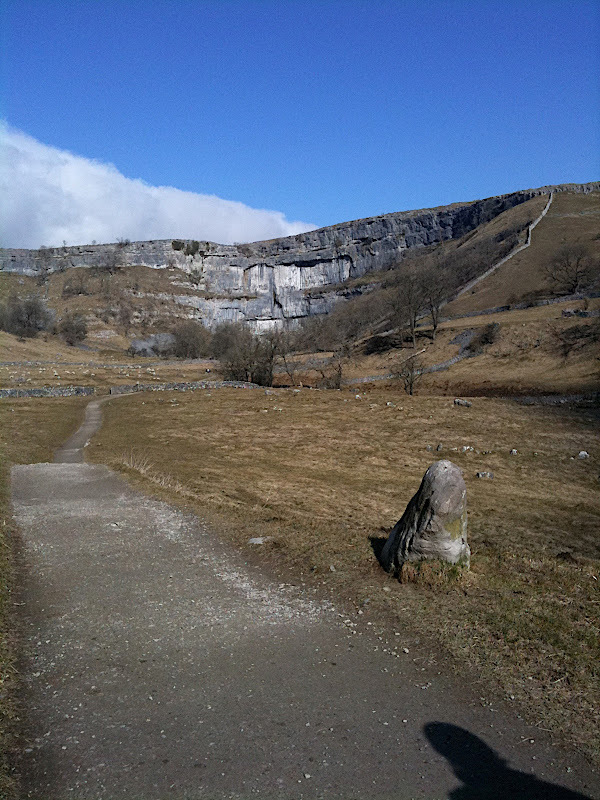 Malham as you walk in - a pretty inspiring and random piece of rock! The 'Peakies' term is how anyone known from the Sheffield/Peak District area is known, and considering I recogized over a third of the people at the crag on Saturday, it pretty much said it all! (Malham is a 2-hour drive from Sheffield). Myself, Dave (not the usual Dave)and Judith hit up Malham for our first trip of the year. It'd been a few years since I was last there - link to TGU post here. My memories were hard to read limestone (as it's all largely white), slightly steep and super technical and crimpy. Not much had changed in the intervening years as it felt much the same! We warmed up on the 'easiest' route on the crag, a short 12metre 6b+ which was fun and pumpy for the grade. Myself and Dave then set up camp on one of the local 7c's, not out of preference but mainly as there were so many other people there that we were limited for choice! The image below doesn't really do it justice, but I'd guess that every 2nd or 3rd route was taken. 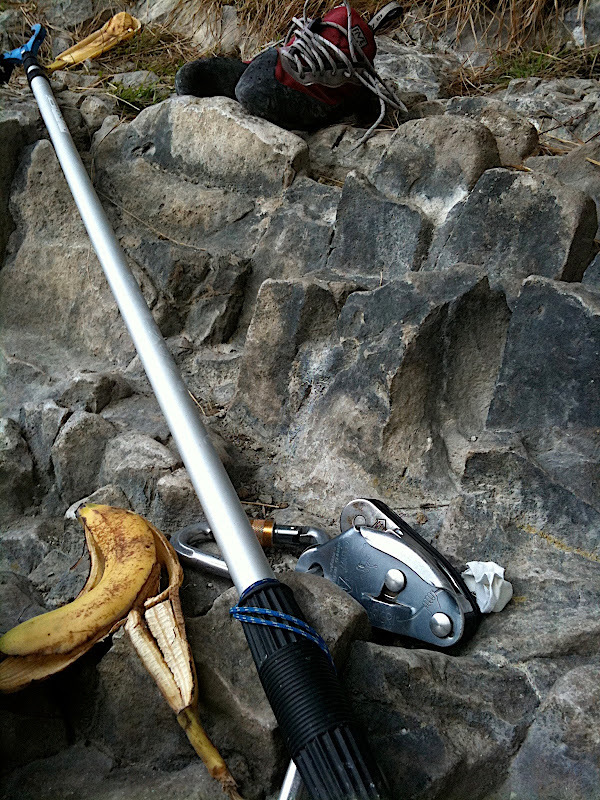 Anyway, I got a refresh of one of the important tools of UK climbing, the clipstick. I know you can use them anywhere but the only place I ever really see them in use is here - I guess it's because the rock is so technical to climb, and the holds are usually tiny. With the routes being so short, it means that all routes feel intense so working out moves while placing the quickdraws can be massive effort - it seems common to place all bolts using the clipstick as you pull up the rope, then top-rope the route until you've got all the moves largely dialled. Do I agree with the practice? Not 100% just yet, I still have a thing for going up and working out the moves on lead, but I also see the benefits - it saves a bit of time, and also probably some reduction of damage to the rope as you're not just wearing the point near you as you fall continously on the bolt. Anyway, Dave hiked the route on his first lead attempt, and I'll send it next go. I'm super-psyched to get on Raindogs (8a - which I touched the moves on previously) now, it's less steep and I'm climbing really well on that angle at present. Stay tuned, I've got my eyes on a few of the 8a+'s also. Amazing moment of the day? A common practice at Malham is to finish a route by grabbing the chains, something that is seriously not kosher anywhere else. It's accepted practice here - Raindogs finishes with this exact setup. Anyway, a climber from Sheffield, redpointing his first 8c, climbed all the 25-odd metres of the route, put his fingers through the chains.....and then fell off pumped!!! how close can you get! Still though, positive news is that he returned on Sunday and sent it. Sick. Oh yeah, Happy St. Patricks Day! Malham tools - the new addition is the clipstick! Times change we used to only stick clip the first bolt then lead through each other section. I LOVE Malham so jealous. My folkes gaff is less than an hour away. Good luck in the comp at the weekend. Cheers about comp, I'm sure it'll be a laugh. not expecting much, I'm not enough of a boulderer to do well but can only learn from it! plans yourself?